Posted by Barbara Prime at 9:13 a.m.
September 29, 2010 at 10:02 a.m.
As I remember, you gave us some pointers as to how to do bodies in the round, didn't you? These guys are great. This is going to be VERY fun. September 29, 2010 at 10:15 a.m. These little toys are very simple, so you could probably just convert them to be knit-in-the-round without any changes. They might look slightly plumper because no stitches are taken up by seams, but I don't think that will make them any less cute. September 29, 2010 at 10:44 a.m. 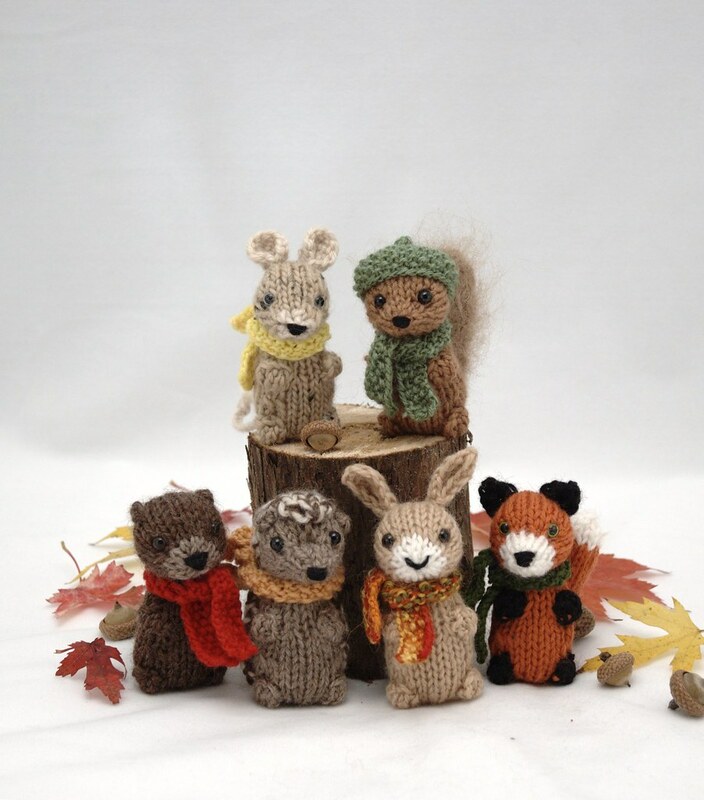 They are just fantastic Barbara - can't wait to make them all!!!!! September 29, 2010 at 2:58 p.m. They're adorable - my fingers are itching to get started, just as soon as the patterns are available! You are a creative genius! September 29, 2010 at 5:54 p.m.
Cuteness is EVERYWHERE! As always. September 29, 2010 at 6:10 p.m.
Oh my gosh, they are so cute! I can't wait! September 29, 2010 at 7:44 p.m.
September 29, 2010 at 8:57 p.m.
September 29, 2010 at 9:44 p.m.
Too too cute! You are a cuteness genius - bravo! September 29, 2010 at 9:46 p.m.
September 29, 2010 at 10:10 p.m. I love this animals! Are very cute! October 1, 2010 at 3:43 p.m.